We welcome applications at 16+. 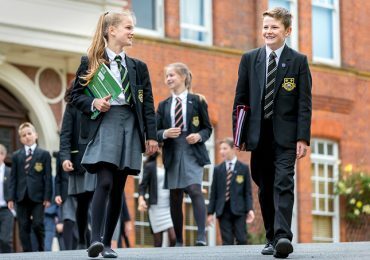 The vast majority of pupils stay on following GCSEs, but additional places are available for external candidates wishing to join a vibrant, active and friendly Sixth Form. The qualification for Sixth Form entry for external candidates is 44 points (or equivalent) from the best 6 IGCSE/GCSE subjects. Additionally, there are specific entry requirements for each A Level subject. 16+ prospective pupils are encouraged to attend the dedicated 16+ Open Evening held in the Autumn Term of Year 11 (see below details). As a pupil’s choice of subjects will be a key consideration we arrange individual programmes for the evening. Therefore we ask candidates to register for the evening beforehand. Please contact the Registrar to book a place (email: admissions@caterhamschool.co.uk) indicating which subject presentations may be of interest on the evening. Once an application has been submitted, candidates attend a 16+ Information and Interview Evening which will take place on Monday 18 November 2019 or Tuesday 11 February 2020. The evening includes presentations regarding the Sixth Form, an interview and also an opportunity to meet Caterham staff and pupils. 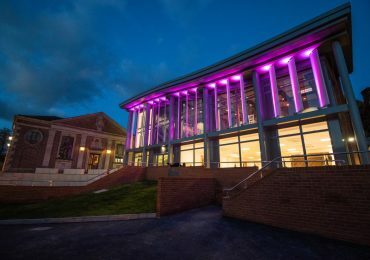 Offers and all Academic Scholarships will be made on the basis of candidates’ performance during the evening, in addition to predicted GCSE grades and current school reports. A non-refundable fee of £100 is required for every application. To make a day application please click here. 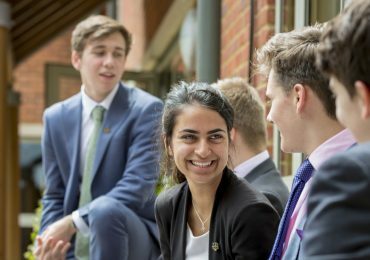 For further information please contact Mrs Alison Jones, our Registrar, on 01883 335 058 or email: admissions@caterhamschool.co.uk. Approximately a third of our parents benefit from reduced fees, either through scholarships or bursaries. Please click below to find out more about Scholarships and Bursaries.